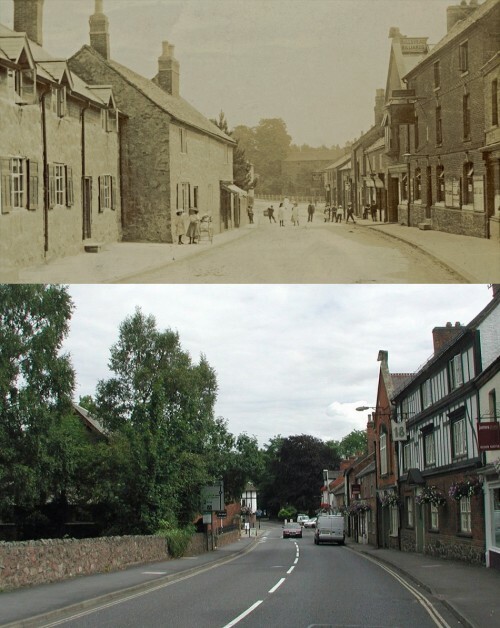 The cottages on the left no longer exist and the oriel window of the Bull's Head has been replaced. Brook House (at The Cross) can just be seen in the distance in the old photograph. It was demolished in the 1960s.